How effective are your sales and marketing efforts across your events? Do your attendees have specific needs for your event? How did they find out about you? Will your sponsors be happy? 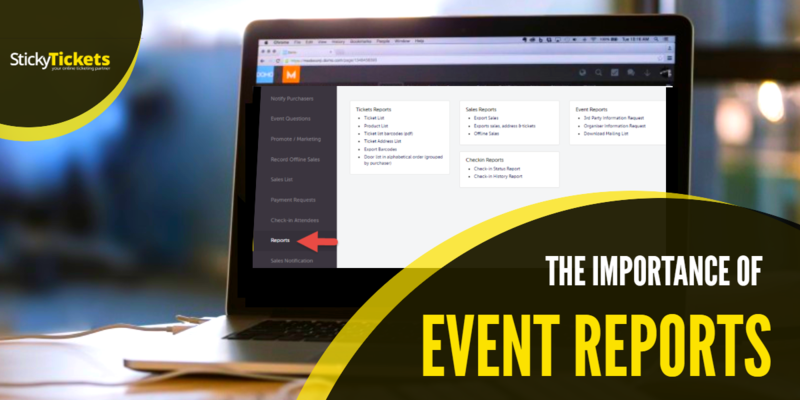 If you are not sure about any of these questions but would like to know that and more, this is where the importance of event reports comes in…. When logged in to your Sticky Tickets account, you can see in the ‘reports’ section all the data related to your event and your attendees. Data can be used for analyzing sales, event revenue, downloading a door list, creating a sign in list for your event, and much more! There are many reports which you can download or access 24/7, updated in real time, which you can customise and save. Did you have sponsors for your event? If you make sure that you ask the right questions of attendees during registration, you can provide them with valuable information, letting them know it was worth the investment. The details from those who checked that they would like to receive 3rd party information when they registered can be accessed in the ‘3rd party information request’ report. In addition to information from the reports, you could also let them know how many attendees were exposed to their product/service, as well as the reach achieved through social media efforts. A webhook can be configured to provide real time notifications of purchases to your application or website, or you can automate the communication about your bookings to external sources such as Mailchimp. You can also see where your leads came from and which attendees have elected to be contacted by you in the ‘Organiser Information Report’, which is a list of great prospects you can keep and use for marketing purposes. If you have asked any custom form questions asking for information related to your event or even for general information, these answers can also be downloaded from multiple reports. 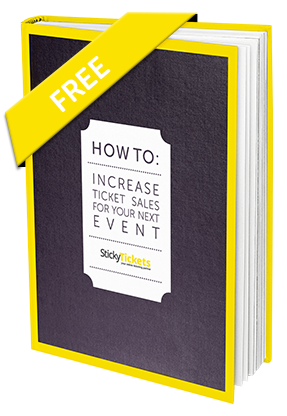 Asking questions of your ticket purchasers can help you gain valuable information and help understand which sources and marketing are driving your ticket sales. Other resources to help with reporting are Google Analytics– add Google Analytics to your account to track all of your Sticky Tickets pages, and the Facebook pixel is also another fantastic tool to track visitor activity and interaction with specific pages. How can these reports help you with your future events? You could email ticket purchasers thanking them for their attendance and asking for feedback, or you can get an account summary and export sales reports across all events, or for a specific date range- this way you can track sales and revenue over a specified amount of time. What were the busiest arrival times for check-in? Make sure you have enough staff on the floor for peak times and know when the quieter times were by downloading the ‘Check-in History Report’. 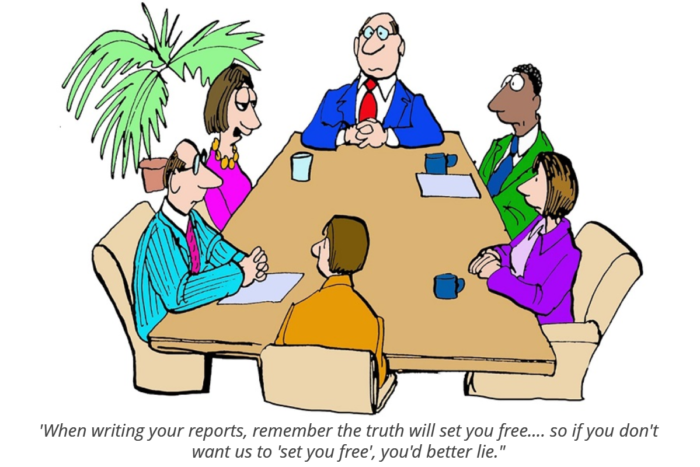 Have you used your reports yet? If not, maybe it’s time you took a look at all the information that could be helping with your events! To read more about reports, please click here. To sign up as an organiser, please click here.